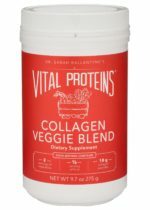 Home » Blog » What about the Goitrogens in Cruciferous Veggies? What about the Goitrogens in Cruciferous Veggies? There are many topics that I am researching and writing about for the book that I’ve been meaning to write about for the blog for ages (the book just gives me a firm deadline). I have decided take some of these topics (especially the more blog-sized ones) and publish them as teaser excerpts for the book (also because I think this information should be here too). This excerpt is from Chapter 6, which is the Chapter that details exactly what foods to eat to heal from autoimmune disease (think of it as a 40ish page version of my Autoimmune Protocol post. 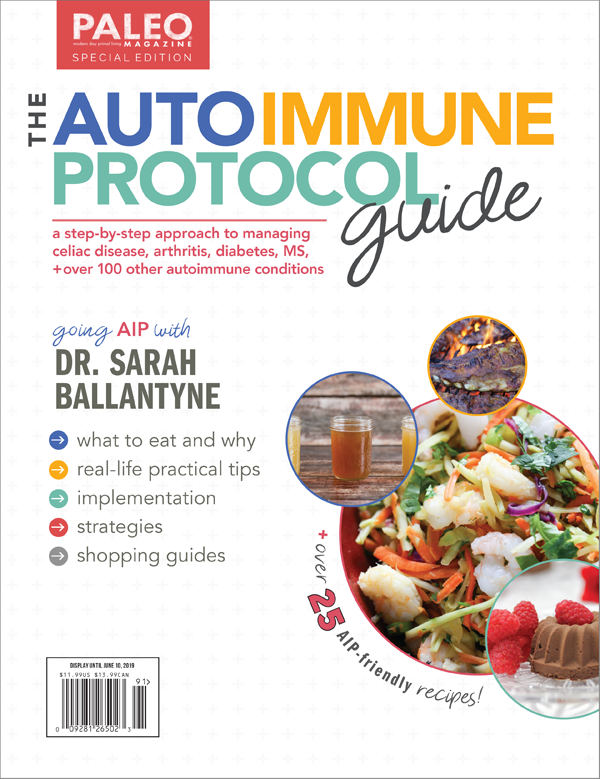 One of the challenges I have faced as I write this book is the need to understand what recommendations are broadly applicable and what exceptions there may be for specific autoimmune diseases. And goitrogenic veggies is a pretty hot topic given the prevalence of autoimmune thyroid diseases (and an important one to get right). This section comes after a lengthy rationale for eating a large amount and variety of vegetables and fruits, with an emphasis on eating the rainbow and trying to eat something green with every meal. 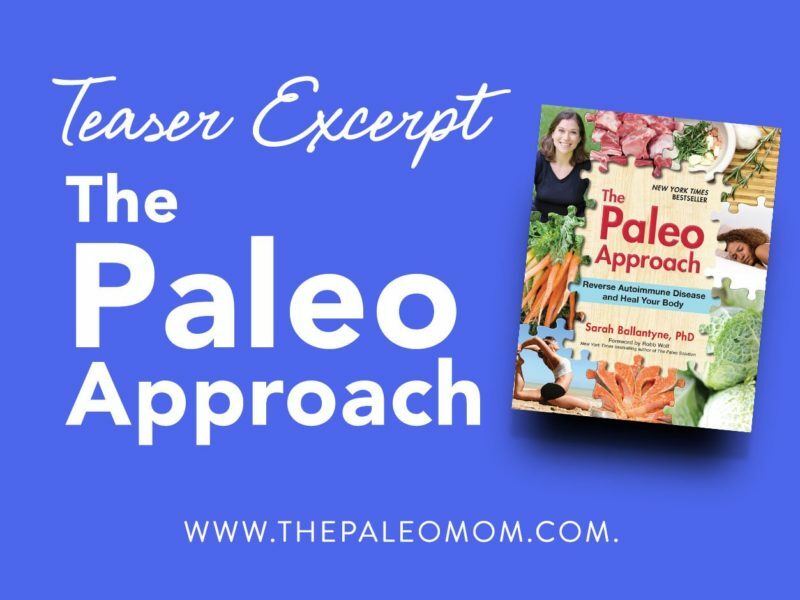 Excited to read The Paleo Approach? Want to help spread the word about my book? Please share this post and other teaser excerpts. Thank you! Those with autoimmune thyroid disorders (Hashimoto’s thyroiditis or Grave’s disease) and those with low thyroid function (which can often accompany other autoimmune diseases) are often advised to avoid consumption of cruciferous vegetables, spinach, radishes, peaches and strawberries due to their goitrogenic properties. Goitrogens are any compound that suppress the function of the thyroid gland by interfering with iodine uptake (recall that iodine is a necessary component of thyroid hormones, see page ##). Thyroid hormones have essential roles in metabolism and even in regulation of the immune system, so supporting optimal thyroid function in everyone is important for healing and for general health. But avoidance of these foods is actually not well justified. This family of vegetables is also particularly rich in a group of sulfur-containing compounds called glucosinolates (see page ##). When these vegetables are chopped or chewed, an enzyme called myrosinase that is also present in these plants breaks the glucosinolates apart (through hydrolysis) into a variety of biologically active compounds, many of which are potent antioxidants and are known to prevent cancer. Two of these antioxidant, anti-cancer classes of glucosinolate hydrolysis products are also known goitrogens. These are isothiocyanates and thiocyanates. Isothiocyanates and thiocyanates appear to reduce thyroid function by blocking the activity of the enzyme thyroid peroxidase (a.k.a. thyroperoxidase or TPO). During thyroid hormone synthesis, TPO is the enzyme that catalyzes the transfer of iodine to a protein called thyroglobulin to produce either T4 thyroid prohormone (a.k.a. thyroxine) or the more active T3 thyroid hormone (a.k.a. triiodotyronine). When isothiocyanates or thiocyanates are consumed in large enough quantities, this is how they interfere with the function of the thyroid gland (by inhibiting TPO). Importantly, the evidence linking human consumption of isothiocyanates or thiocyanates with thyroid pathologies in the absence of iodine deficiency is lacking. This means that these substances have only been shown to interfere with thyroid function in people who are also not consuming adequate amounts of iodine (if you are severely deficient in iodine or selenium, addressing those deficiencies before consuming large amounts of cruciferous vegetables is a good idea; see page ##). In fact, the consumption of cruciferous vegetables correlates with diverse health benefits, including reducing the risk of cancer (even thyroid cancer!). In a recent clinical trial evaluating the safety of isothiocyanates isolated from broccoli sprouts, no adverse effects were reported (including no reported reductions in thyroid function). Perhaps even more compelling, at low concentrations (like what you would get just by including cruciferous vegetables in your diet), thiocyanates actually stimulate T4 synthesis, meaning that consuming these vegetables labeled as goitrogens may actually support thyroid function. There is also a strong synergy between isothiocyanates and selenium in the formation of the very important enzymes thioredoxin reductase (see page ##) and glutathione peroxidase (see page ##). This means that the consumption of isothiocyanates in conjunction with selenium is a tremendous support for the body’s antioxidant defense mechanisms and important for cancer prevention. These are arguments for consuming more cruciferous vegetables, even for those with autoimmune thyroid diseases, not less, especially in the context of adequate dietary iodine and selenium. Truly, the most important aspect of supporting thyroid function is providing the necessary minerals for thyroid hormone production, the most important of which are iodine, iron, selenium and zinc. Deficiencies in any one of the minerals may impair thyroid function, but the effect of deficiencies is greatly magnified when more than one of these minerals are not available in adequate quantities. Iodine is a necessary building block of thyroid hormones and the thyroid cannot function properly if insufficient iodine is available (see page ##). Iron deficiency impairs thyroid hormone synthesis by reducing activity of TPO (which is heme-dependent, see page ##). As already discussed in Chapter 3, selenium is required both for the conversion of the T4 thyroid prohormone (a.k.a. thyroxine) to the more active T3 thyroid hormone (a.k.a. triiodotyronine) because the enzymes responsible for this conversion (iodothyronine deiodinases) are selenoproteins. Selenium is also essential to protect the thyroid gland from the effects of excessive iodide (excessive iodine inhibits the activity of TPO). Zinc is believed to play an important role in thyroid metabolism, although the details remain unknown. It appears to play a role in the conversion of T4 to T3 and zinc levels correlate with the levels of thyroid stimulating hormone (TSH), although the precise ramifications of zinc deficiency for thyroid function remain controversial. 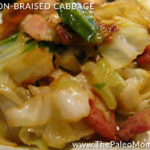 All of these minerals are richly found in the foods included in The Paleo Approach. Supplements are also discussed in Chapter 8. 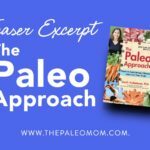 Interested in learning even more about The Paleo Approach? This video from my YouTube Channel is just a quick tour (the book is so big that giving you a broad overview takes 13 minutes!) but you get to see just how comprehensive and detailed this book is. Yes, excess iodine can cause problems (it interacts synergistically with a specific proinflammatory cytokine called interferon to enhance expression of membrane proteins in the cells of the thyroid gland that recruit inflammatory cells), BUT excess iodine is caused by selenium deficiency. Normal levels of iodine don’t do this. AND not all Hashi’s patients have high iodine. Broadly recommending the avoidance of iodine is not a good idea (and one that I don’t believe Dr. Kharrazian supports anymore). For any thyroid condition, I recommend getting your iodine levels tested and then supplementing with iodine and/or selenium as appropriate to get levels in a normal range (and I always recommend food sources of minerals over supplements if at all possible). which iodine-rich foods do you recommend? Seafood: fish, shellfish and sea vegetables. Also, natural unrefined salt like celtic/gray sea salt or pink Himalayan salt. Natural salt does NOT have iodine in it. Unless you buy sea salt WITH added Iodine. Heather, Real Salt sea salt has 10% iodine. Thank you for the in depth explanation. I’ve always questioned the cursing of the cruciferous since I always feel better when I consume them on a regular basis. I have hashimoto’s and use iodine regularly. I feel all the better for that as well. I, however, have experienced the adverse effect of grains, sugar (excess and/or improper types) and dairy on my well being. So, while sometimes it seems like there is “nothing left to eat” when we hear “no goitrogens”, “no iodine”, “no grains, sugar and dairy”, it is important to keep in mind that we are all individuals that need a delicate balance of foods and nutrients. Some things are unquestionably harmful, others are not yet fully determined. Each person’s “balance” is so dependent on what degree of damage their body has and where their deficiencies lie. No doubt, it would be much simpler if there was a “One size fits all” approach. very thorough and informative article. Thank you for posting it! I was wondering the same thing as Chris above…. i have hashimotos and have always heard and read and been counseled by my naturopath that if I have elavated antibodies to stay away from iodine because it will create more antibodies thus attacking my thyroid more. So for hashimotos patients do we take iodine or not? If you have Hashi’s, get your iodine levels tested. If they are low, take iodine (food sources preferred) and if they are high, take selenium (food sources preferred). Avoiding iodine for Hashi’s as a broad recommendation is out-of-date and dangerous since those with low iodine levels will only get worse (and you can have either high or low or even normal with Hashi’s). And of course, both of those recommendations go with eating a nutrient-dense diet designed to heal the gut, resolve inflammation, and remove the over-stimulation of the immune system. Foods well vested in selenium? Also seafood (handy) and Brazil nuts are very high as well. Thank you so much for these tips. Unfortunately I can’t tolerate fish or sea food. I will go back to Himalayan Rock Salt …I do have organic sea salt … is that OK? Any suggestions for foods other than sea products and fish or should I just go with supplementation? Also follow the AIP to decrease inflammation. I have hashimoto’s with TPO antibodies of 13K and am following the AIP, taking supplements to manage the diseases. Thank you so much for responding. Makes total sense! I CANNOT wait for your book. Already preordered it! OMG, you’ve read my mind. I’ve been meaning to write you about this for awhile. I love you! I’m so happy that I can eat crispy radishes w/o guilt! I read in the Body Ecology diet that fermenting lessens the goitrogens; but recently I’ve run across comments that the opposite occurs. Is this also not a big deal? My nutritionist told me to stay away from seaweed because it could make autoimmune disease worse, but I’ve been skeptical. Often I’m told to do what the latest advice is against my intuition only for the rules to change once again. So, I’m eating seaweed again, unless it bothers me. Thank you for sharing your investigations. It helps a lot! I can’t wait for your book. I definitely address Th1 and Th2 dominance (and how out of date those ideas are) in the book. And good for you for listening to your intuition. I think we often have a better understanding of our bodies by instinct than we give ourselves credit for. WOW I LOVED LOVED LOVED this podcast I felt like it was me talking, like you all were telling my story. I was never fat but never felt thin, I then made my self feel worthless. Thank you for this!!! Thanks so much for the info, Sarah. It didn’t seem right to avoid such good veggies. Seems a lot of misinformation starts when one small fact is blown out of proportion, without looking at the big picture. It makes sense that all the nutrients work together, and that, unless you have some other deficiency, the goitrogens aren’t an issue! Thanks for posting this again as I hadn’t seen it previously – I was on the fence about whether to eat goitrogens and this information helps me in making my decision as I tolerate them well otherwise. I have Grave’s Disease. My symptoms seem to me to be mild (depression, tired, hair loss etc – usually associated with Hashimoto’s I thought??) 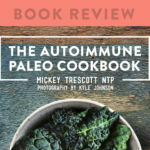 I am curious about how I would understand my body’s reactions to food if I undertook the AIP? I have felt so tired for so long, will it make me feel more energetic? I’m just confused about how I will know if AIP is working for me? Any advice you can give would be greatly appreciated. Looking forward to purchasing your book. I am so grateful for your hard work and dedication. Yes, you should notice more energy, better moods, and stop losing your hair. You should feel better and your labwork should reflect healing. Thanks so much for your reply. The thought of more energy and better moods is encouraging. I have felt like I’ve been dragging my feet for many years now. Getting out of bed is the hardest. I feel like I only begin to wake up at 5pm! Good luck with your book. I’m sure it will do amazingly well. Not convinced that the benefits of goitrogen vegetables outweigh the risks if one has thyroid disease, so I will continue to avoid them. I find these vegetables stress my gut and taste harsh to me. Perhaps they just don’t work with my individual chemistry? 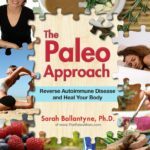 That said, I think this is an incredible blog and I appreciate the research and time that Sarah has devoted to tailoring a Paleo diet to help people who have auto-immune issues. I am looking forward to purchasing your book! I don’t have an autoimmune thyroid disease (that I know of anyway), but I don’t eat any of those vegetables because the whole group of them give me eczema. I am also allergic to sulfur. Do you think that the sulfur in those vegetables could be the culprit that gives me eczema? Is there a way to heal a sulfur allergy? You rock, by the way!!! I’ve preordered your book and look forward to it! But, I’m glad you are taking the time to make it just right. And, good call on splitting out the cookbook separately. I wouldn’t want you to have cut out anything to make it all fit. Thank you for bravely traveling this unmapped trail. This is a subject I’ve been researching and your info is meaty. I’ve taken a “try it and see” approach with goitrogens and my thyroid health but found regular amounts send me into a pit of despair. Your info about selenium and zinc is helpful since synthetic T4 hormones just make me worse. My physician refuses to run even a full panel so there’s ZERO chance of getting iodine levels tested. Actually my physician refuses to write me a prescription for Armour Thyroid as well so I’m forced to get “creative” with my health care. Info like this blazes the trail for others. Thanks for your work! Am looking forward to your book. I have a hypothyroid and whenever I eat cooked or raw cabbage – especially red cabbage – I develop a hypothyroid storm. Same with taking iodine or too much seaweed. Broccoli is the equivalent of eating a potato for me in terms of insulin release. As do many vegetables which I cannot tolerate. I also have mercury poisoning from eating too much fish and it takes years of detox to get rid of it, so eating fish 3-4 times per week seems in extreme excess especially for those who have compromised detox pathways which most do who have auto-immune disease or health issues. I went into Hashitoxicosis by eating too many cruciferous vegetables. I developed a goiter and didn’t get relief until I eliminated them from my diet. my thyroid is still off and I continue to have symptoms. I would suggest working with a functional medicine specialist. They’ll be able to do things like tailor selenium and zinc supplementation and figure out if there are any food sensitivities, gut dysbiosis, etc. that need addressing. 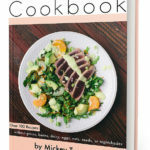 I am trying to treat my Hashimoto’s thyroiditis and came across your new book on Amazon. I underwent a total thyroidectomy due to papillary cancer in 2007 and the endocrinologist is keeping my TSH levels suppressed. Although all 3 of the endocrinologists I have seen feel that I don’t need to deal with the Hashimoto’s since I no longer have a thyroid gland, I know that the thyroidectomy did not cure my autoimmune disease. My question is whether or not I should follow the protocol for thyroid support regarding diet, iodine, zinc, selenium etc. I’ve been researching Hashimoto treatment for awhile but have not been able to find info for people who have undergone a thyroidectomy. Would appreciate your help with the confusion. I don’t know if I have a direct answer for your question (because I don’t know the answer), but I can tell you that iodine, zinc, selenium, and iron, which are essential for thyroid function, are still essential in other parts/functions of the body. Iodine is the one I don’t know how much you would need (it is used elsewhere in the body, but thyroid is the dominant use, so maybe less than other people but still some). my dr had me on iodine for almost a year with no tests. My Dr K trained Dr said stop. I stopped. How long does it take it get it out of my system? I had radio active iodine done to my thyroid about 10 years ago. I had Grave’s disease and my dr couldn’t get me regulated on medication. My BP kept dropping to 90/20 or 80/40. I can only take brand name synthroid because I am so sensitive. I have noticed that if I eat a lot of curciferious foods, I start swelling and gaining weight. Last november I did green smoothies for breakfast everyday and followed Paleo without cheating and gained 10 pounds. I love eating Paleo. Any suggestions? Oh, and I was also eating iodine rich foods at the time as well. I understand that Brazil nuts are a good source for selenium but I thought nuts were inflammatory and to be avoided on the AIP? I have Graeves disease but have actually put on a lot of weight. It’s driving me crazy and I generally eat really well. Any suggestions on the type of practitioner I should see to help me get the weight off? My endo has never suggested to change my diet so I find this article really interesting because I eat heaps of these vegetable!! Need help please!!!! Hi there! I’m wondering if the above is true for autoimmune diseases effecting your colon (UC)? About a month ago I started upping my intake of cruciferous vegetables after reading about their benefits (cabbage in particular; anti-inflammatory & cancer preventative). However, I’m constantly being scolded for eating cruciferous vegetables since they’re “hard to digest.” What are your thoughts on this? I don’t know about the scientific evidence regarding goitrogens, however, I know of personal evidence. A friend’s mother was hypothyroid and her thryroid became enlarged. 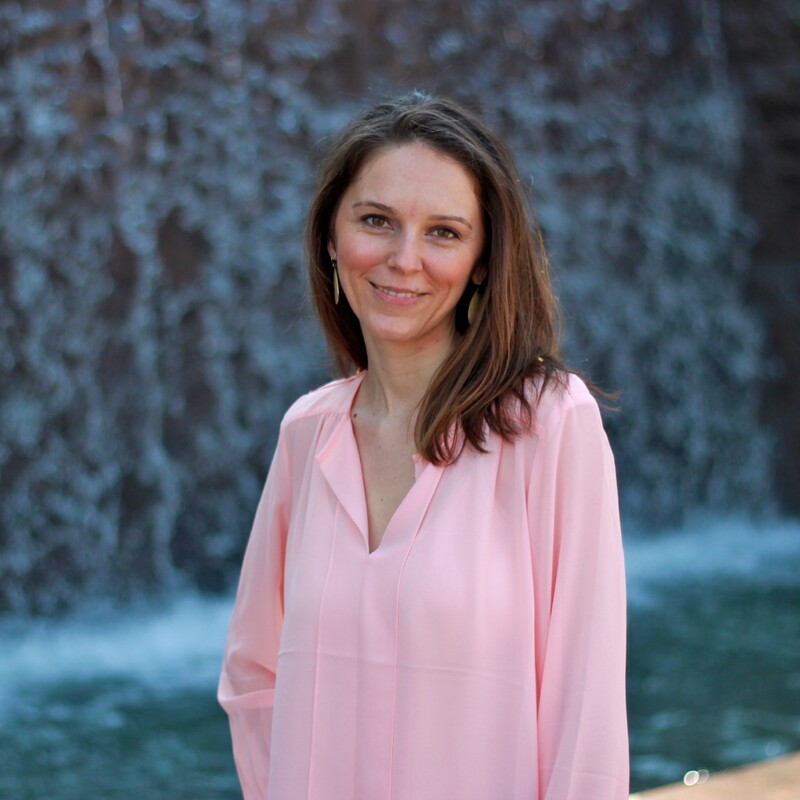 Despite the doctor prescribing more synthroid, it continued to enlarge and she was told that they would most likely have to operate and remove her thyroid. I told her about goitrogens. She included a lot of raw broccoli and other goitrogenic vegetables in her diet. Because she was desperate to avoid surgery, she decided to stop eating raw cruciferous vegetables and limited the amount of cooked cruciferous vegetables as well, supplementing them with other vegetables. A month later her thyroid had shrunk considerably. Her doctor was pleased and asked her what she did. She told the doctor about her diet change regarding cruciferous vegetables and he laughed at her and told her that was not possible. She no longer goes to that doctor. And 4 years later her thyroid is down to a normal size and the subject of surgery is long forgotten. I’ve been getting different advice about iodine in my diet. I’ve been told to avoid iodine and have been for the last 4 years now. however recently I was told to have iodine in my diet. So I am really confuse. For someone who has grave should they be including iodine in their diet??? Oh I have the perfect answer to this grace of Dr Tom O’Bryan! Had been stressing about it too. Many places in the States are iodine deficient…whilst others including the UK, where tablesalt is sometimes ‘fortified’ with iodine, furnish too much to its citizens. So what is the answer: TESTING!! Of course … logical! So our GP/MD’s can do a urine test. There are various tests. An iodine loading test is a high amount of iodine which unless there’s a deficiency will be passed out in the urine. The residue is measured and the amount retained is whats needed and supplementation is indicated …for a while…until optimum levels are reached…but of course our personal optimums are always changing. Hence the need for further testing until the ability to self assess is acquired. Anyone know if there’s a blood test for iodine levels also? Interesting Katy….I’m the other side of the coin with a low thyroid…I did get put off raw broccoli and I had been eating large amounts…with hummus – to be healthy! Ironic. 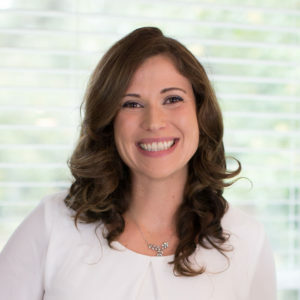 However our beloved Paleo Mom came to the rescue with the advice that iodine, iron, selenium and zinc would balance out the factors operating. I’m not exactly back on to cruciferous but don’t avoid either. What I would like to say to encourage you Kim…is that how marvellous it is that you’ve found a way to reduce your thyroxin by ‘natural’ means!! All you have to do now is stop the cruciferous veg… re-balance…and get tested. Have your TSH, T3 and T4 measured as well as your iodine and any others levels that Sarah or her assistant might recommend. It will then be a simple matter of juggling supplements or pref appropriate foods…to get on an even keel. How lucky you are !! Well Done. I’m struggling with trying to stimulate my thyroid. Ideas? I did switch doctor and am having a appointment coming up. Will see my result and ask if there is a way to measure iodine through the blood, if not testing for me! see above katy…sorry I seem to have put my response to you in the wrong place! I have Graves and following the advice of Elaine Moore(on line help for people with Graves) I did add cruciferous veggies to my diet and had the first decrease of the Methymazole Ive been taking in 2 years, BUT I do feel a goiter. My Dr. told me to quit eating them, but now Im confused. I had a goiter 7 years ago, was diagnosed with Hashi, told I should consider my thyroid non-functioning, and have been taking 180mg of Armour ever since. 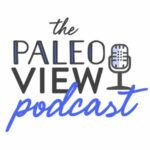 My question is this: If my thyroid is dead, and there’s no reason to believe I can improve its function, do I need to avoid or seek out certain foods based on my diagnoses? Should I question whether it’s truly non-functioning, and is there a full-proof way to tell if it has any life left? My autoantibody count has always been “greater than” the lab results can show, so I know I need to pursue a nutrient-dense diet designed to remove the over-stimulation of the immune system, I just don’t know if I should bother avoiding cruciferous vegetables as well. I’d like to start the AIP, but hoped to hear your thoughts first. Thanks so much for your amazing work! After a battery of tests, I was found to have cryptosporidium, activated Epstein Barre and possibly Lyme (low CD57 NK). But most recently, my doctor found low T3, low iodine and totally normal everything else, ruling out Hashimoto’s, Grave’s, RA, etc. I was diagnosed with hypothyroidism due to low iodine. I’ve read it’s really rare to have this without Hashi’s, but my TPO is totally normal. My question is, is hypothyroidism without Hashimoto’s considered autoimmune? And you mention the importance of restricting these vegetables when a thyroid condition is due to low iodine. What is your thoughts on alternate vegetables, amounts? I didn’t find a clear recommendation in the book. And have you worked with supplements like Thyro-Dyne which are supposed to gradually increase iodine with complementary selenium, but contains ashwaganda which can stimulate autoimmune patients? If hypothyroidism isn’t autoimmune, is ashwaganda safe? Sorry for such an involved question. Thanks! really hope sarah or one of her assistants can get back to you. my understanding is that sarah recommends a balance between iron, iodine, selenium and zinc. ashwaganda balances you either way and is a great help…i’ve got to get some!! Thank you for sharing Sarah. I’m a nurse practitioner, and I have Hashimoto’s. I also have many food allergies but was told by the allergist not to worry about them because they were mild. However, I’m beginning to disagree. I’m allergic to broccoli, onions, carrots, lettuce, apples, blueberries, wheat, barley, soy, chicken and pork. Some just upset my GI system, some make me sneeze, others make me cough and itch. I’m now wondering if there is a link between these allergies and my Hashimoto’s? Occasionally, I will have episodes of flares with low grade fever that seems to be inflammatory only, not accompanied by any infection. I will ache for days and feel exhausted. I have discovered that a dose of selenium or two during those flares will often resolve it. A full multivitamin a day makes me feel sick, nauseated. I’ve wondered if its the iodine in it? I want to thank you for the article you co-wrote with a physical therapist about the muscles changes in people with autoimmune disease. I was undergoing PT at that time I read it. When your PT comments often how she doesn’t understand how you could remain so tight and fibrous as a young healthy person without injury, the article brought me to tears–someone understands it! Do you do any one on one dietary consults? gosh anne …you seem to know so well the foods to which you react…which is great…very admirable. anti-oxidants including selenium are so helpful aren’t they? if you’re bringing down your inflammation its a great strategy to avoid iodine…even in our multivit until TSH is reduced to 1.00 or below i gather…whereafter miniscule amounts of iodine can be re-introduced extremely carefuly and slowly per protocol of dr alexander haskell…which i’m trying to follow and recommend. he has written a lovely book entitled help for hashimotos which you might enjoy. am sure someone in sarah’s consulting will have knowledge of hashimotos. i wonder if any of her team specialise in this? i would be very grateful for this advice too. So I do not have Hashimoto’s, just a low thyroid. Possibly due to lifelong fish and shellfish allergies and some other lifestyle factors in my family. But I swear, I try to eat cabbage, cauliflower, broccoli etc (raw or cooked) and have a difficult time tolerating that bitter, sulpher taste (or sometimes I swear if feels like I bit down on tin foil paper). Should I just experiement until I can find brassicae members that I can bear to eat it? Is it possible to please give the vegetables botanical names as the American local names ain’t neccessarily the names peopke in other countries call them by. I have been fighting hashimotos for 8 years, shortly after the birth of my son. I have recently become quite afraid of seafood, after recalls of fish/shellfish due to ciguatera toxin. Can you offer any advice on that? Are broccoli sprouts allowed on AIP, or are they a seed? I had a complete thyroidectomy in December due to an enlarged cancerous nodule caused by Hashimotos. I am currently taking 100 of levothyroxine with an additional 50 on Sundays. I have recently started having significant joint pain in my elbows, wrists and knuckles. Should I avoid the foods in the goitrogens group as well? I will go soon to have my levels retested. Thanks for any help! Eating a healthy, but non-Paleo diet I had plenty of energy, but struggled with my weight. I usually used sea salt and took lots of supplements including selenium (New Zealand has very low levels of selenium in its soil). I have been hypothyroid for many years and only felt well when my Doc put my on natural t3 and t4 pills-I highly recommend it. It ended years of fatigue and depression. I did a whole30 and used table salt and ate LOTS of cruciferous vegetables and got very tired and cold. I went back to regular eating minus those veg and I have stated to feel much better. Now, I ate a huge amount of those veg since I like them and they fir so well with the Paleo diet, but it seems by my experience that they DO affect thyroid function even taking adequate selenium and iodine. Hi there! I just started the AIP almost two weeks ago and it’s going well! I do have a question though. I want to start taking iodine for my thyroid, but all of them have kelp or sodium alginate. Am I able to take these? I’m not overweight (far from it, I’ve always been underweight, and now even moreso), but the section on autoimmune response to diet is worth mention since it’s the first peer-reviewed study on the topic that I’ve been able to find. My Hashimoto’s seems to be responding favorably to AIP, as TSH dropped from ~6.3 to ~4.8 in these three months on AIP with no change in Synthroid (25mcg for ~5 months). Hopefully by removing all of the goitrogens I’ll be able to start healing, if I’m not already doing so. The TSH drop was unexpected this early in the program. I haven’t had the TPO Ab re-checked since the initial diagnosis, but I suspect it’s down as SOMETHING caused my TSH to drop significantly. T4 stayed roughly constant throughout at 1.1 to 1.2. Note: As I’m pushing 60, I’m *not* trying for ketosis; blood ketone levels are in the range 0.1 to 0.3, checked weekly with blood test strips. Ketosis puts a strain on the thyroid that’s contraindicated in autoimmune thyroiditis, and especially so in older people. I suspect I went into starvation-induced ketosis the first 2 weeks on AIP as my weight dropped >8 pounds: my body fat is flat GONE.